The View may have just lost Elisabeth Hasselbeck, but the popular talk show has gained Jenny McCarthy. Barbara Walters, who has served as a View host since it debuted in 1997, announced Monday that McCarthy has signed on as a permanent co-host. She will replace Joy Behar, who is leaving The View in August. “We are delighted that Jenny will be joining us as a permanent co-host on The View starting in September. Jenny brings us intelligence as well as warmth and humor. She can be serious and outrageous. She has connected with our audience and offers a fresh point of view. Jenny will be a great addition to the show as we usher in an exciting new chapter for The View,” Walters said in a statement. McCarthy said she is “beyond thrilled” about her new job. “I’d like to thank ABC for this great opportunity. I’d also like to give a big thank you to Vh1 for their support and for allowing me to fulfill this lifelong dream. I look forward to helping make hot topics a little bit hotter, and showing my mom that my interrupting skills have finally paid off,” she said. The actress and author will make her first appearance as a permanent View host when the new season kicks off on Monday, September 9. Hasselbeck left The View last week to replace Gretchen Carlson on to Fox’s daytime talk show Fox & Friends. Get ready to rock with some of the biggest names and voices in music in a two-hour, star-studded special, “Rock ‘n’ Royalty: Billboard’s All-Stars.” Anchored by Barbara Walters, the special features the best and most outrageous moments from interviews with music’s all-stars, including Justin Bieber, Beyoncé, Mariah Carey, Cher, Lady Gaga, Madonna, One Direction, Taylor Swift and Keith Urban, plus new interviews with Lady Antebellum and Tracy Morgan — who is hosting “The 2013 Billboard Music Awards” Sunday night on ABC. “Rock ‘n’ Royalty: Billboard’s All-Stars” airs as a special edition of “20/20,” SATURDAY, MAY 18 (9:00-11:00 p.m., ET) on the ABC Television Network. Elton John and his partner, David Furnish, will sit down with Barbara Walters for their first major U.S. Television interview since the birth of their son, Zachary, this past Christmas. In the interview, John and Furnish will discuss why they wanted a child, how they kept the baby a huge secret until he was born, and how fatherhood has changed them both. They will also introduce Walters to Zachary, their four-and-a-half-month old son. John will also reveal details of his latest project. 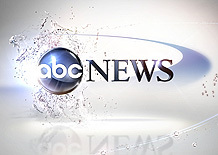 The exclusive interview will air on “20/20,” FRIDAY, APRIL 22 (10:00-11:00 p.m., ET) on the ABC Television Network. “Nightline” is anchored by Cynthia McFadden, Terry Moran, and Bill Weir. Jeanmarie Condon is the executive producer. “Nightline” airs at 11:35 p.m., ET weeknights on the ABC Television Network. Sandra Bullock, Justin Bieber and Betty White have landed on one of America’s most important end-of-year countdowns – broadcaster Barbara Walters’ 10 Most Fascinating People list. They join basketball star LeBron James, U.S. politician Sarah Palin, new American Idol judge Jennifer Lopez and the cast of U.S. reality TV series Jersey Shore on the list. Kate Middleton, whose engagement to British royal Prince William was announced earlier this month (Nov10), also made the cut. Walters’ pick for the Most Fascinating Person of the Year will be revealed when her annual chat show special airs on 9 December (10). Last year (09), U.S. First Lady Michelle Obama landed in the top spot. Walters then turned to O’Reilly and said “Now let me just say to you in a calmer voice. It was extremists. You cannot take a whole religion and demean them. She told O’Reilly he should apologize, and he later said “if anyone felt that I was demeaning all Muslims, I apologize,” causing Behar and Goldberg to reemerge from backstage and rejoin the panel. Users flooded the web site of “The View” to watch the O’Reilly segment and comment on site’s message boards. On Thursday, the site averaged 10 times its normal traffic in terms of unique visitors, which led to brief intermittent outages. Thursday’s show can be viewed in its entirety on ABC.com’s Full Episode Player and the O’Reilly segment can be seen at http://theview.abc.go.com/videos.